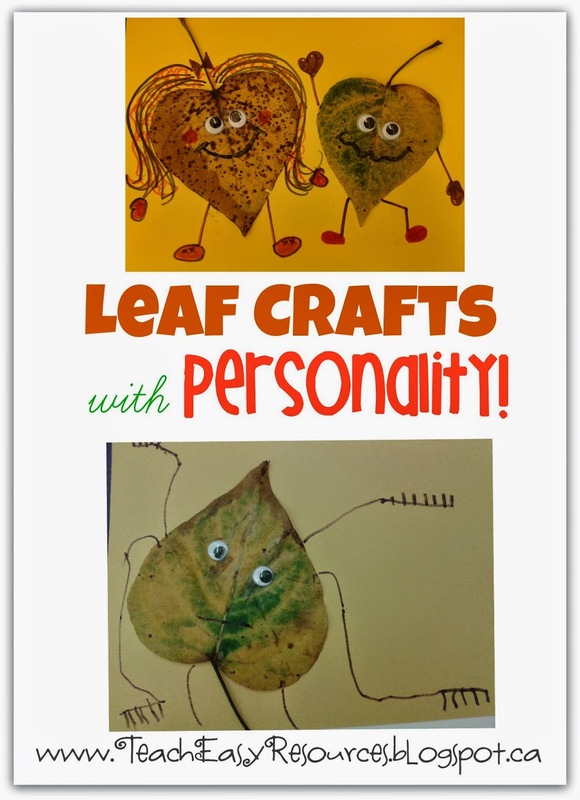 Teach Easy Resources: Leaf Crafts with Personality! 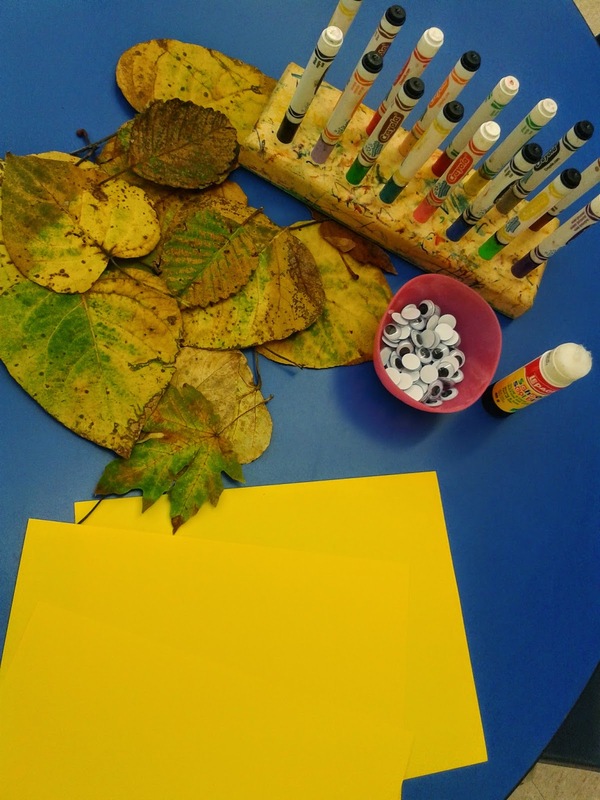 I collected some leaves on the weekend to use at one of our art tables. 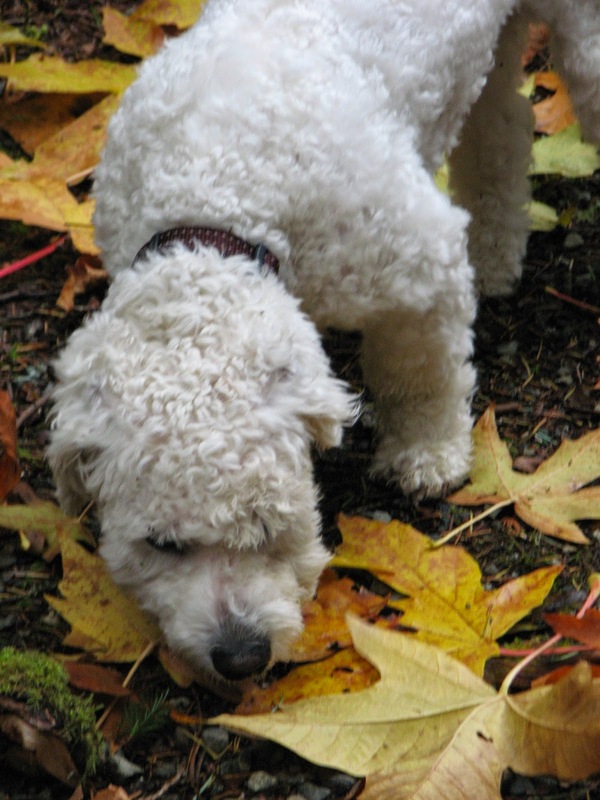 It was a great excuse to get outside and enjoy the woods with my doggy! Yes, Sammy, sniff in that lovely scent! 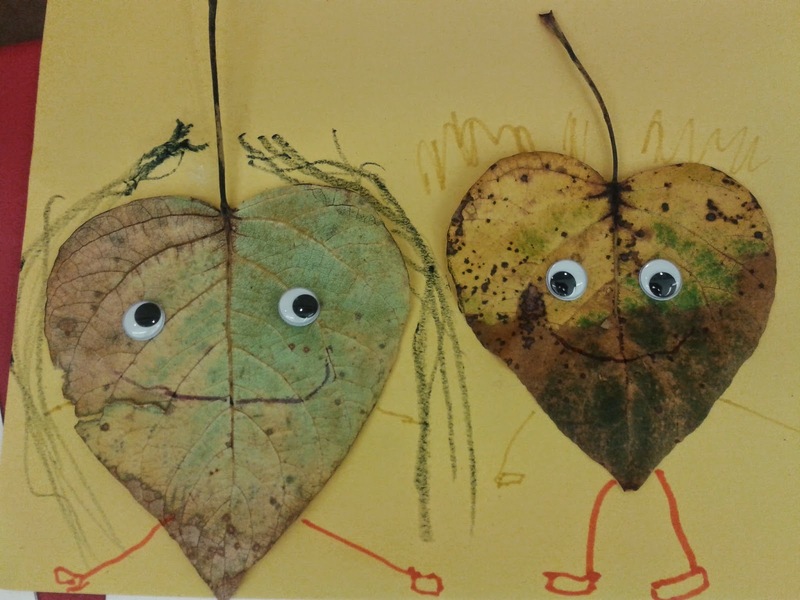 It was such an easy art activity - no cutting or prep for me - and lots of fun for the kids. 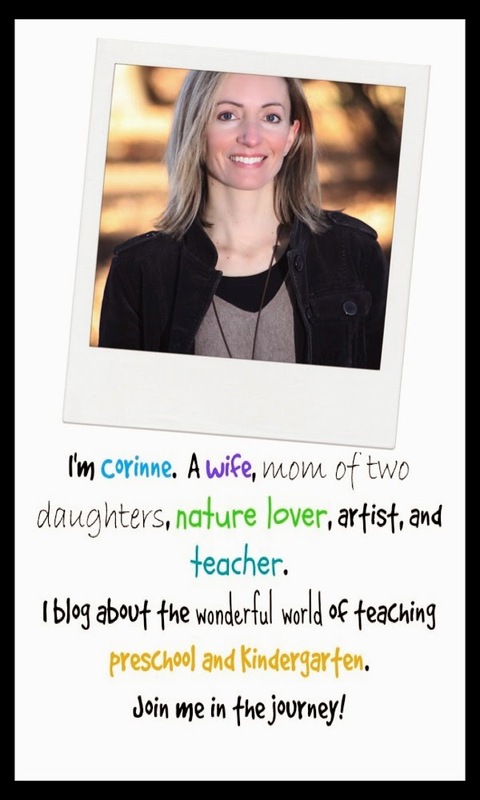 As you'll see in the picture, my leaves were a little spotty! Unfortunately, there's not too many red or orange leaves around here yet, but the projects looked fine nonetheless. One thing to note is that the lighter leaves allowed the marker drawn mouths, etc. to show up the best. 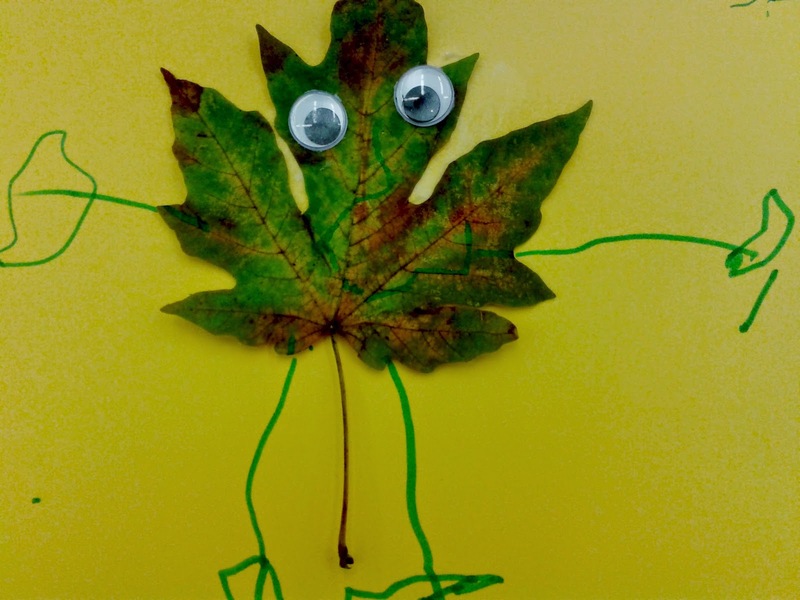 Here's some of the crazy leaf characters that were created. 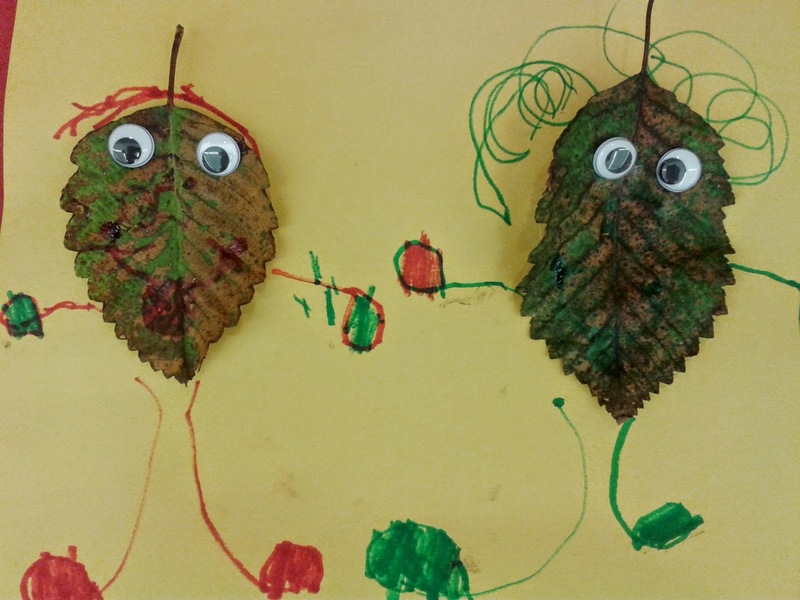 I still have a lot of leaves left, so expect another fall leaf craft coming soon!